How Important is Logo Design For a Company or Startup? When it comes to starting a business or overhauling the image of an existing company, there are a few well-known necessities. Understanding the product or service and having a clear target audience should always come first, since these are the things that make a business successful to begin with. However, without the right image there’s very little that even the best grasp of offerings and the most concise target can do to keep up sales and turn a profit. Contrary to popular belief, brand image isn’t all about what a company’s top employees say, what quality of products or services are available or even how prolific the company may be. Instead, brand image starts with just that: an image. A good logo is memorable, but according to Entrepreneur.com a great logo is instantly recognizable. Leaving a lasting impression requires that instant recognition, and this is the thing that makes logo design so important for all businesses regardless of industry or offerings. Your company, whether it’s a startup or a local favorite, has a particular image that it needs to impart to customers both loyal and prospective. While it’s the responsibility of your company to maintain this image through action, it’s equally important to make sure that this image is effectively communicated through your brand image, and that starts with the logo. A logo should be like a visual calling card. This means it needs to be industry appropriate, aesthetically pleasing and unique enough that it won’t be mistaken for anyone else. Your logo should be advertising itself simply by existing, which requires a high level of uniqueness, customizable and memorability. There are plenty of ways to make sure that your logo stands out, starting with making sure it’s a piece customized specifically for your business. There are plenty of places offering ready-made logos, but this increases your chances of suffering the dreaded overlap. The more attractive a predesigned logo, the more often it will be selected by multiple companies; this opens a can of worms nobody wants to deal with. No brand protection. Since the logo hasn’t been designed for you, there’s no way to effectively trademark the image and make sure that your brand is properly protected. You can even be forced to stop using the logo altogether if another brand buys out the design at a later date, as you would be impeding on their new trademark. No recognition. Custom logos are designed to be your company’s calling card, but ready-made logos make it possible for anyone with a little extra capital to utilize the same design. This means that there’s no way to be sure that your brand will be the one that logo brings to mind. No image communication. Because ready-made logos are generic, with more regard for overall design trends than unique trends within your industry’s design world, there’s no way for them to properly capture and convey the image of your brand to potential customers. Instead of choosing a logo already in use quite possibly thousands of other small businesses, you can get an equally economic and fully customized solution from crowdsourcing design services from groups like Designhill. These services connect you with multiple designers with the skills and understanding your business needs to get a fully developed logo design. 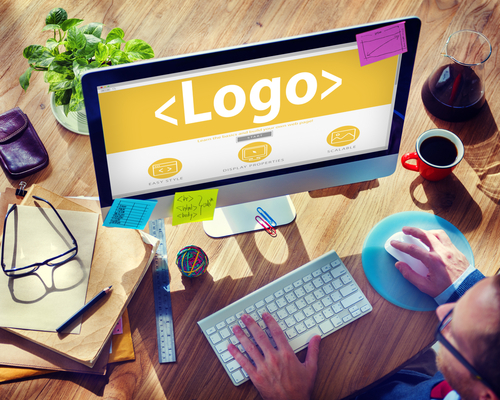 There are a few rules when it comes to designing a custom logo, of course. Whether your company chooses to utilize logo design by Designhill, working one on one with a friend or colleague with graphic design experience or even decides to take the DIY route, these guidelines are designed to help your logo be appropriate, attractive, and relevant. Focus on color and how it relates to your brand. Remember that colors evoke different emotions. Understand the brand. It’s integral to visually translate your company image into your logo; whether it’s with crisp technical imagery or an off-the-cuff doodle style, your logo needs to be relevant to your brand image. Maintain flexibility. Make sure that your logo is clear across multiple displays and scales well both digitally and physically. If it’s not recognizable at the diameter of a quarter, it’s not flexible enough. Be prepared to modify. Trends change over time, which means that your logo will need to change with them. You need to be prepared for an imagery overhaul in the case of a sudden shift in the market. Logo design is integral not just for the design itself, but for what it says about your brand. Make sure that whatever logo you choose, you’re getting one that puts forth the right image through color, customization, and customer recognition. Next story Integrating Video Ads into Mobile Game without Undermining Game Experience: How to do that?